Comments: ALTERNATE EDITION: Brand New Papercover International 4th edition textbook (Textbook only). The English content is identical to the American edition. Its ISBN, cover picture, and cover binding may be different. The book printed in black/white, and the book cover which has dual languages design maybe contains restricted sales disclaimer. Expected speedy worldwide shipment with full tracking information delivery in 3-5 business days. 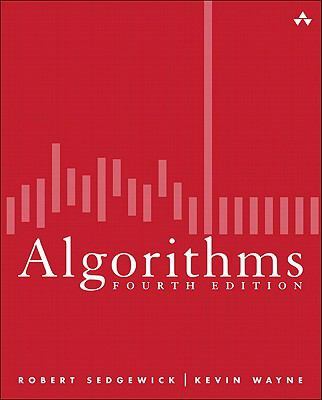 Sedgewick, Robert is the author of 'Algorithms', published 2011 under ISBN 9780321573513 and ISBN 032157351X. Loading marketplace prices 178 copies from $40.45 How does the rental process work?